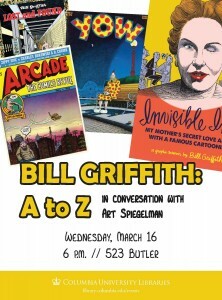 The cartoonist Bill Griffith has had a storied career, from his early underground comics featuring Mr. the Toad, to his long-running character Zippy the Pinhead, to his involvement in the influential comics anthology, Arcade, to his recent foray into long-form comics with his revelatory family history Invisible ink: my mother’s secret love affair with a famous cartoonist. Griffith, a native Brooklynite, published some of his earliest comics in the East Village Other, then moved to San Francisco to join the burgeoning underground comix scene. There he introduced Zippy and co-founded Arcade with Art Spiegelman. Now back on the east coast, Griffith has decided to bequeath a substantial portion of his archives to Columbia’s Rare Book & Manuscript Library. 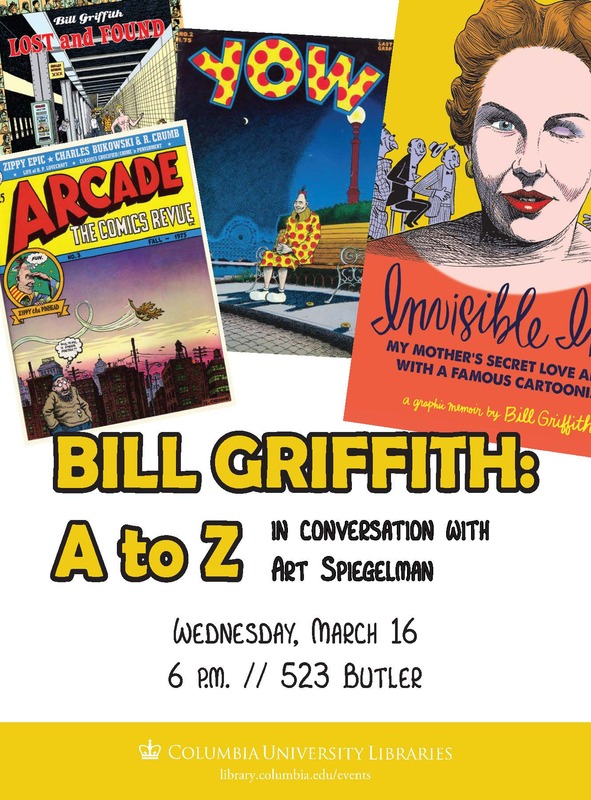 While the Zippy dailies will find a home in Columbus OH, at the Billy Ireland Cartoon Library & Museum, the archives of the early underground comic books, of Arcade, and of his graphic novels will be available for researchers here in New York City. In celebration of this future–we hope, far in the future!–gift, Comics@Columbia and the Rare Book & Manuscript Library present a conversation with Bill Griffith and Art Spiegelman, moderated by Karen Green. Please join us for this event, and for the reception to follow. This entry was posted in Archives and Manuscripts, Events & Exhibits and tagged Archives, Comics, Events & Exhibits, underground on January 21, 2016 by Karen Green. Scholars looking for medieval illuminations to illustrate their arguments need look no further than the Morgan Library. The Morgan has digitized and cataloged every image in its vast holdings of medieval manuscripts. While an image search can be made in CORSAIR, the general catalog of manuscripts and printed books, there is a specific area of the site for searching solely the medieval and Renaissance images in the collection. Browsing by manuscript is also possible. Results of searches display in a vertical list or as a "lightbox" grid, five panel across. The cataloging metadata for each image is extensive, and there are often multiple views of a given illumination. 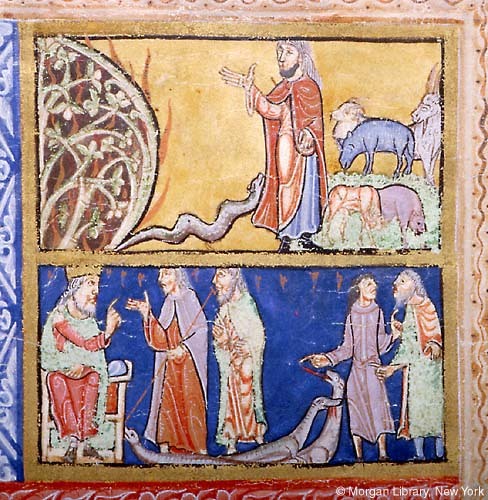 3a) Moses: Burning Bush, and Moses, Miracle of Rod changed to Serpent — Beside burning bush, serpent crawls toward Moses as Shepherd, with head draped, stands with leprous right hand raised, beside five sheep on hill. 3b) Moses: Miracle of Rods, and Aaron: Miracle of Rods — Pharaoh, crowned, seated on cushioned bench, extends right hand toward Moses, with rod in left hand, and Aaron; three serpents on ground at their feet; behind Aaron, two men, possibly magicians. Scenes in frames decorated with abstract ornament. 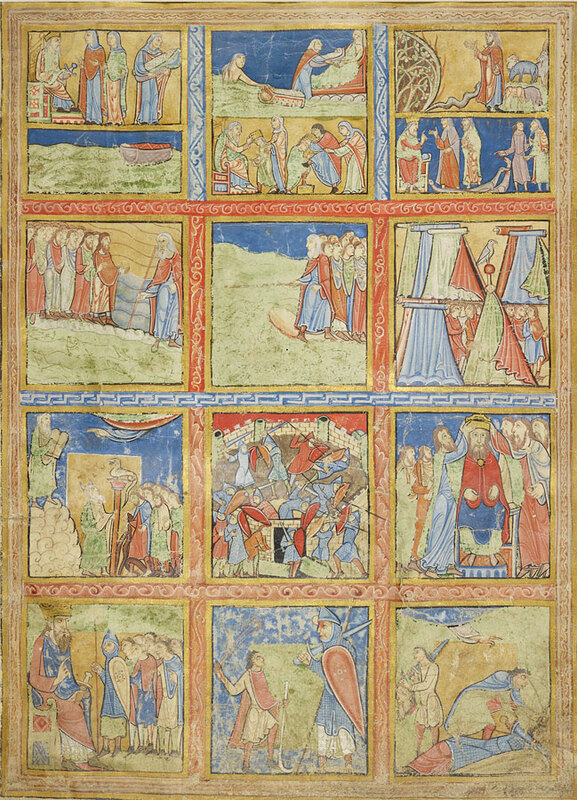 Psalters –England –Canterbury –Illustrations. 1155-1160. Pharaoh –commanding Shiphrah and Puah. Moses –brought to Daughter of Pharaoh. Moses –Child at Court of Pharaoh. Crown –worn by Moses as Child. Moses –Miracle of Rod changed to Serpent. For further information on searching CORSAIR, or finding medieval images, please feel free to contact Karen Green, the librarian for Ancient & Medieval History. This entry was posted in Archives and Manuscripts, Databases and tagged art, illuminations, manuscripts, medieval, middle ages, Morgan Library on February 28, 2013 by Karen Green. Columbia University’s Rare Book & Manuscript Library (RBML) is pleased to announce the acquisition of two significant additions to its Comics and Graphic Novels collections: research materials for Larry Tye’s well-received 2012 book, Superman: The High-Flying History of America’s Most Enduring Superhero, as well as six 1940’s Batman scripts from the estate of Jerry Robinson. A selection from Batman #31/Oct-Nov 1945, "Punch and Judy". Bill Finger. The acquisitions are the latest development in Columbia University Libraries’ support for the research and teaching of comics and graphic novels. Since 2005, a circulating collection of such materials has inspired scholarly inquiry, academic writing and coursework, including The American Graphic Novel, a course co-taught by Columbia University Professor Jeremy Dauber and former DC Comics president Paul Levitz. To commemorate the significant advances in this area, Columbia University Libraries and the Institute for Israel and Jewish Studies will host a panel discussion, Comics at Columbia: The Golden Age at 6pm in 523 Butler on March 7th. Reception to follow; admission is open to the public. 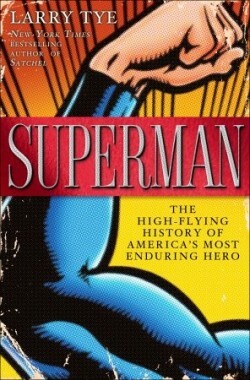 Materials in the Tye collection include a seventy-page transcript of an oral history interview with Jack Liebowitz, a founder of the company that would become DC Comics; Superman creator Jerry Siegel's unpublished memoir; a transcript of a lengthy conversation between longtime DC editor Whitney Ellsworth and Superman historian Gary Grossman; as well as documents that outline the sale of the rights to Superman. Along with Tye’s own research library of nearly 200 books, the collection also includes clippings from publications such as Look Magazine and The Saturday Evening Post that chronicle Siegel and Shuster's creative development, and the typescript for an unpublished Superman story by Jerry Siegel, "The Death of Clark Kent." The gift of Tye’s research materials coincides with the 75th anniversary of Superman’s introduction in a 1938 comic book, Action Comics #1. Columbia University Libraries has been invited to co-sponsor the Center for Jewish History’s January 27th event and panel discussion: Superman at 75: Celebrating America’s Most Enduring Hero. Experts on the superhero, including Tye, will gather to discuss Superman’s inception and endurance as a cultural icon. For more information on this event, please visit http://cjh.org/event/2143. The Robinson Collection’s Batman scripts, which feature extensive editorial corrections and emendations, provide a valuable glimpse into the collaboration between Robinson and writers such as Bill Finger and Alvin Schwartz. Robinson is best known for the character design of the Joker. For more information about Columbia University Libraries’ Comics and Graphic Novels resources, please visit http://library.columbia.edu/eguides/graphic_novels.html. 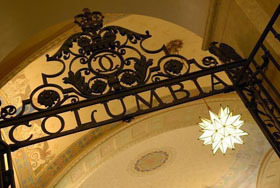 Columbia University Libraries/Information Services is one of the top five academic research library systems in North America. The collections include over 11 million volumes, over 150,000 journals and serials, as well as extensive electronic resources, manuscripts, rare books, microforms, maps, and graphic and audio-visual materials. The services and collections are organized into 22 libraries and various academic technology centers. The Libraries employs more than 500 professional and support staff. The website of the Libraries is the gateway to its services and resources: library.columbia.edu. This entry was posted in Archives and Manuscripts and tagged Comics, Graphic Novels, new acquisitions on January 23, 2013 by Karen Green. The Libraries house so much more than print resources! Four new online exhibitions opened recently, ranging in topic from social welfare to journalism to architecture to literature. An exhibit of photographs (by Jessie Tarbox Beals, Lewis Hine, and others) and publications used in the “scientific charity” movement by the Association for Improving the Condition of the Poor, founded in 1843, and the New York Charity Organization Society, founded in 1882, which are today merged and known as the Community Service Society (CSS). Their innovative methods were later incorporated into the practices of social work, government welfare programs, and philanthropic organizations. An exhibition of the papers of Joseph Pulitzer and of his newspaper, The World, held by the Rare Book & Manuscript Library. The exhibition contains a variety of materials that show the working life of this truly remarkable individual. Included are letters, documents, ledgers, newspapers, photographs, and realia concerning his life, as well as material documenting Pulitzer’s role in the founding of Columbia’s School of Journalism and the creation of the Pulitzer Prizes. This exhibition highlights a selection of architectural novelties from the Avery Classics collection, displaying items that are both comprehensive and eccentric in their treatment of architecture. This online exhibition was highlighted by a day-long symposium at Columbia University in April 2012. The exhibition, along with the conference, focuses on the relation between literature and the media in which it is conveyed. This entry was posted in Archives and Manuscripts, Events & Exhibits, News on July 6, 2012 by Anice Mills. Contained within the archives of the Columbia-Princeton Electronic Music Center (which are held by Columbia University Libraries) there is a series of original reel-to-reel recordings of the concerts of the Composers Forum, made in New York from 1951-1977. 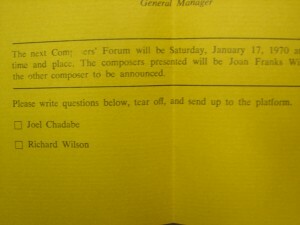 The Composers Forum concerts were an important series of concerts of art music by contemporary American composers. The series was established by Ashley Pettis in the 1930s, under the auspices of the WPA’s Federal Music Project. Beginning in New York, it eventually moved before WWII to California, then went on hiatus during the period around WWII. It was re-established in New York after the war in ca. 1947, under the joint auspices of Columbia and the New York Public Library, with concerts taking place in the Donnell Library and in Columbia’s McMillin Theater. 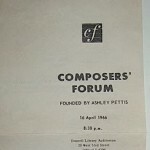 It is the recordings of this post-war period of the Composers Forum which are represented by the recordings held by the Libraries. Composers represented on the recordings include George Antheil, Milton Babbitt, Jack Beeson, George Crumb, Mario Davidovsky, Luigi Dallapiccola, Irving Fine, Kenneth Gaburo, Leo Kraft, Ezra Laderman, George Perle, Julia Perry, Daniel Pinkham, George Rochberg, Ezra Sims, Harvey Sollberger, Carlos Surinach, Charles Wuorinen, and many others. There are also some notable performers represented (for example, Bethany Beardslee, Jan de Gaetani, Bertram Turetzky, Anahid Ajemian, David Tudor); some in early stages of their careers. Examples of composers performing their own works, or serving as moderators, add to the documentary value of this collection. Taken as a whole, the recordings offer a valuable portrait of American contemporary art music in New York for this period, and the discussion sections add particular insights into the musical culture of the time. These recordings were created in many cases by the staff of the Electronic Music Center, which possessed the necessary recording equipment. 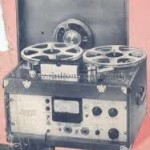 Pril Smiley, former Associate Director of the Center, has recounted transporting the heavy Ampex reel-to-reel tape recorder by bicycle to some concerts for recording (way before the existence of niceties such as bike lanes)! …and, yes…. these were very heavy! To access these recordings, come to the Music & Arts Library, 701 Dodge, and ask for directions on which workstations host the files. Contact us with any questions at musiclibrary@columbia.edu. This entry was posted in Archives and Manuscripts, Music on November 11, 2011 by Nick Patterson. E-books in CLIO have gotten a lot snazzier. The Bayerische Staatsbibliothek (BSB) has been digitizing thousands upon thousands of their rare book holdings, and these free e-books are all findable in the Columbia Libraries catalog. These BSB records have been gathered into a collection called "Digitale Sammlungen." Thus far there are over 28,000 of the BSB records in CLIO. 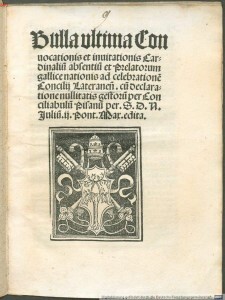 The collection includes medieval manuscripts, early printed books, and recent secondary materials. Some, but not all, are in full color. The cataloging information is brief, so search techniques need to be creative! 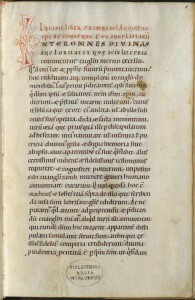 Above, on the left, a 1512 printed edition of a bull from Pope Julius II; on the right, a page from a 12th-century manuscript of Augustine’s De consensu evangelistarum. There are a variety of ways to search this collection. Be sure to Ask a Librarian if you need assistance! This entry was posted in Archives and Manuscripts, Books and tagged digital libraries, early modern, medieval on September 16, 2011 by Karen Green. though of course Google will find them as well. Hoover Wore Many Hats, an interactive game for children of all ages. Play the game! This entry was posted in Archives and Manuscripts, History on May 20, 2010 by Mary. is a gold mine of useful information, both bibliographic and full text, for an area in which Columbia traditionally hasn’t been strong. There are two basic catalogs listed on this link, the Research Catalog, which is basically their card catalog, and the Resource Guides Finding Aids, which is a treasure trove, though it can be hard to navigate. Wettemann, Robert P., Jr. “The Girl I Left Behind Me? United States Army Laundresses and the Mexican War.” Army History (Fall 1998/Winter 1999): pp. 1-10. To print these, click on the upper right icon for “Show document”. These bibliographies are useful for less stridently military questions as well; there is one on civil-military relations, which was useful to a student writing about the influence of the DOD, as opposed to the Department of State, in post-WWII foreign policy, and references to fraternization were helpful answering a question on women in post WWII Germany. Nor are these all focused on the US–there are some bibliographies on classical and European warfare. Individual bibliographies (presumably ones which didn’t fit under the subjects) are listed beneath the folders, including the intriguing “Lessons Learned” and “Ghosts”. There is also another UWP perenial, “Films”, with some useful references to works on war films. One recent problem (they have just rejiggered the site) is that sometimes you get caught up in a loop, and either a blank screen comes up, or the last search. I have found that using the “sign out” link on the left hand side (if it is displaying) helps, but if not, starting over again works. The bibliographies are probably the most useful item, but the digitized documents and photographs are also fun to look through; the photographs, especially are quite rich and varied from the 1912 German Olympics to an Indian Chief. This entry was posted in Archives and Manuscripts, Databases, History on May 7, 2010 by Mary. The search link (simple and advanced) is on the upper right hand side. If the material either hasn’t been microfilmed or if no one in the U.S. has the film, it is easy to obtain the material digitally–though it does cost. ILL will pay up to $50 to get items, and this is much faster and much more efficient than ordering it through CRL. My favorite subject so far is “Lunacy and the State”, where we learn that “For most of the past, the state has had little interest in the mental health of its subjects, unless they had a sufficient amount of property to require the intervention of the Crown as a feudal lord. Pauper lunatics were dealt with locally”, followed by many references to official papers–some of the guides also list useful book titles. The catalog searches much more than just the official documents in the National Archives–it is a very useful place to find any manuscripts relating to Great Britain. I recently had a question about Bram Stoker’s manuscripts and the National Archives search was the most accurate, better than his entry in the Dictionary of National Biography, or Archive Finder–the National Archives search found both U.S. and British locations, as well as the reference to the book Location register of twentieth–century English literary manuscripts and letters. This entry was posted in Archives and Manuscripts, History on April 22, 2010 by Mary. has just brought up their catalog online, and the librarian has asked that we urge our students to use the online catalog before going down, since they are very short-staffed, and this will save both the Library and our students a lot of time. This entry was posted in Archives and Manuscripts, Research Help on April 21, 2010 by Mary.